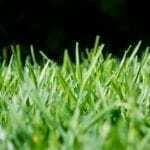 A challenge that many zone 9 homeowners face is finding lawn grasses that grow well year round in the extremely hot summers but also the cooler winters. In coastal areas, zone 9 lawn grass also needs to be able to tolerate salt spray. Don’t despair, though, there are several varieties of grasses for zone 9 lawns that can survive these stressful conditions. 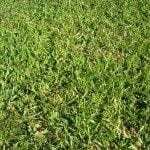 Continue reading to learn about growing grass in zone 9. Lawn grasses fall into two categories: warm season grasses or cool season grasses. These grasses are placed in these categories based on their active growth period. Warm season grasses usually cannot survive the cool winters of areas in the north. Likewise, cool season grasses usually cannot survive the intensely hot summers of the south. Zone 9 itself also falls into two categories of the turf world. These are warm humid areas and warm arid areas. In warm arid areas, maintaining a year-round lawn requires a lot of watering. Instead of lawns, many homeowners choose xeriscape garden beds. Growing grass in warm humid areas is not as complicated. Some zone 9 lawn grasses may turn yellow or brown if winter temperatures get too long. Because of this, many homeowners overseed the lawn with ryegrass in autumn. Ryegrass, even the perennial variety, will grow as an annual grass in zone 9, meaning it will die out when temperatures become too high. It does keep the lawn consistently green in cool zone 9 winters, though. Bermuda grass – Zones 7-10. Fine, coarse texture with thick dense growth. Will turn brown if temperatures drop below 40 F. (4 C.) for an extended period, but greens back up when temperatures rise. Bahia grass – Zones 7-11. Coarse texture. Thrives in heat. Good resistance to pests and disease. Centipede grass – Zones 7-10. Low, slow growth habits, requires less mowing. Out competes common lawn weeds, tolerates poor soil, and requires less fertilizer. St. Augustine grass – Zones 8-10. Deep dense blue-green color. Shade and salt tolerant. Zoysia grass – Zones 5-10. Slow growing but, once established, has very little weed competition. Fine-medium texture. Salt tolerance. Turns brown/yellow in winter. Carpetgrass – Zones 8-9. Tolerates salt. Low growing.